Get your projects done fast with the UTV Scissors Lift. Get your projects done fast with the UTV Accessories. 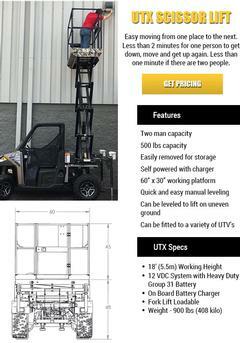 For more information about the UTX Scissor Lift, Click Here.